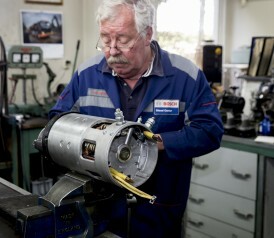 Bosch Diesel Center C. Renes - Reconditioning of fuel pumps, injectors, starter motors and alternators. 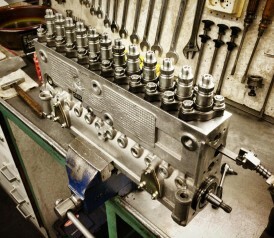 Assembly and repair. Welcome. 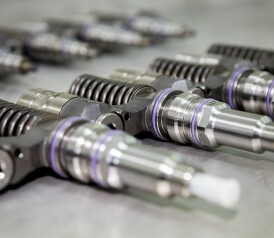 C. Renes BV is a BOSCH Diesel Center with over 50 years of experience in overhauling and testing of fuel injection systems, delivering high quality work and excellent service to a broad range of industries. 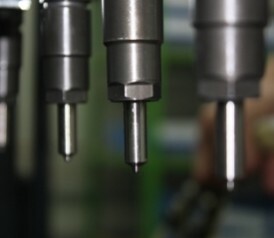 Our work includes the testing and reconditioning of (common rail) fuel pumps, (common rail) injectors, starter motors and alternators. Is your industry not yet featured in our list? No problem: we can assist with most (if not all) challenges relating to diesel fuel systems. Are you looking for a specific part? Browse through our online inventory, where you will find a broad range of alternators, starter motors, fuel pumps and injectors. For more information, or to request a quote, please call +31 (0)184 60 13 48 or email info@c-renes.nl. You are also welcome to visit us at our beautiful office: Bij de Kerk 37 in Nieuwpoort, The Netherlands.